We are in an exciting phase at Riversand as we roll out the next generation of Master Data Management Platform and Apps. Riversand, a visionary in Master Data Management and a leader in Product Information Management solutions is pleased to announce the appointment of Shyam Potta as the VP of Product Management. In his new role, Shyam will drive the product lifecycle from ideation to implementation. 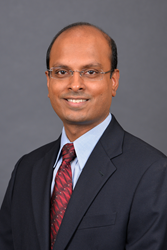 “I am delighted to appoint Shyam as the VP of Product Management. Over the last sixteen years, Shyam has emerged as a leader at Riversand in defining and delivering products that drive customer satisfaction and business outcomes. In his new role, Shyam will contribute towards product vision and lifecycle, oversee execution, and measurement of product initiatives while collaborating with his peers in Product Strategy, Product Engineering and Customer Success,” said Upen Varanasi, Founder, and CEO of Riversand. “We are in an exciting phase at Riversand as we roll out the next generation of Master Data Management Platform and Apps. I am honored to take this new role and grateful to be part of the Riversand family for the last sixteen years,” said Shyam Potta. Riversand is a Master Data Management (MDM) Visionary and a Product Information Management (PIM) Leader. Riversand serves leading global enterprises in Retail, Manufacturing, Distribution, Energy, Healthcare, and Food Services. Riversand MDMCenter helps clients enhance their customers’ experience and move products faster to the market. Riversand is headquartered in Houston with offices in Bangalore (India), London (UK), Stuttgart (Germany), Switzerland and Sydney (Australia) Visit us at http://www.riversand.com for more information and follow us @RiversandMDM on Twitter @Riversandtech on Instagram, @RiversandTechnologies on Facebook.